Lucky Me Slots offers players the opportunity to carry with them the fun wherever they go. Hence, players can enjoy quality entertainment in transit on their mobile devices. The platform does not have any dedicated app. However, Lucky Me Slots is fully optimised and designed to ensure high-speed and cool gaming on mobile devices. The welcome bonus at Lucky Me Slots is not as enticing as one would expect. Well, 100 extra spins is a lot no doubt. However, with no other attachments and cash bonus, it doesn’t rank up there with most other platforms. Lucky Me Slots offers players a one time opportunity to receive 100 extra spins. This bonus is available for use only on Spina Colada. Likewise, to qualify, players must make a minimum deposit of $10. As expected, this comes its terms and conditions. Notably is the wagering requirement that is fixed at 30 times the deposit and bonus amount. However, this requirement could rise to 60 times once the bonus winnings from the extra spins exceed the deposit amount that was wagered to earn the bonus. How sad! Hence, you may want to get all the information about this from support, so you don’t get caught in the crossfire. As already mentioned, the welcome bonus at Lucky Me Slots is not too fascinating. One would expect more in the promotions section, but that is rarely the case. Lucky Me Slots currently offers the Daily Picks and Tournaments. This is presently the only promotion on display at the website. However, the platform claims and promises to offer a series of promotions and bonuses from time to time. Likewise, the VIP lounge also offers players tremendous benefits and opportunities. The peak of the excitement is a luxury trip to Monaco and LA. However, while you work towards that, you can also enjoy loads of benefits like having your account manager; extra fast payouts; easy access to support and many more. Lucky Me Slots offers you more than just fun and excitement. Since you might be spending a lot of time with them, they have decided to offer you a home away from home. In line with the tenets of the gaming industry, Lucky Me Slots offers 100% security to players. Likewise, the platform employs the use of 128-bit data encryption protocol to ensure that nothing is left out. Hence, all financial transactions (deposits and withdrawals) are carried out in a very secure environment. Likewise, all information shared on the platform stays on the platform. As regards support, Lucky Me Slots speaks the language that you will surely understand. Whether you decide to send your queries in English or Norsk or Svenska, you will receive a response in like manner. However, there is currently only one channel of communication, and that’s via email. The player must provide front, and back images of credit Lucky Me Slots encourages players to cover their credit card number as well as the CVV2 code at the back before sending the picture. Lucky Me Slots is a new platform that is managed by SkillOnNet Ltd. Visit them for more information here. The platform has a very minimalistic design. Hence, it is very suitable for mobile gaming. Likewise, Lucky Me Slots has a massive collection of games, offers round the clock support; offers very fast payout and lots of other cool services. However, there is still a lot of work to be done. The welcome bonus and promotions still need some extra flesh. Likewise, they still need to integrate a live support feature in addition to a few other things. 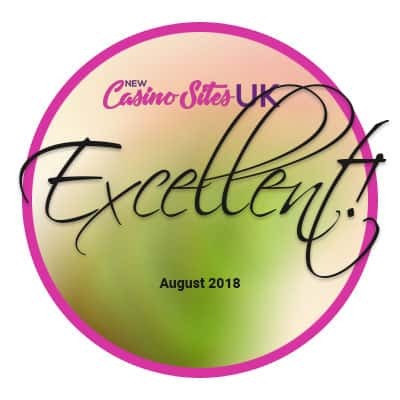 Find more top slots casinos in our Slots 2018 Guide.